I`ve hardly trapped for much of August and the early part of September, mostly for `weather reasons` and my daytime recording has been severely curtailed through lack of time. As it was the first anniversary of last year`s leaf mining course at Cilgerran, I thought that I`d better restart, so off I went to Stradey Woods (on the western outskirts of Llanelli) for a little leaf mining and a general `look out`. 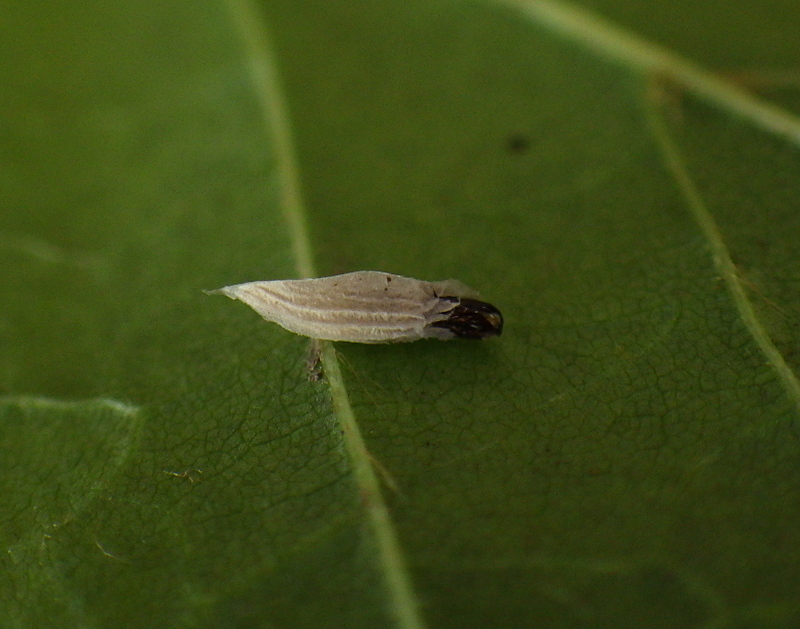 On some hybrid limes I found leaf mines of Bucculatrix thoracella (a known site where I`ve had leaf mines and adults before) but, today, I also found a larva in its distinctive striated cocoon (photo below). Above: the B. thoracella larva in its cocoon. 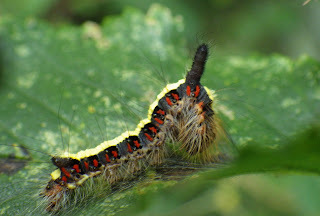 I`ve moved it slighty for a better photo - it was previously attached to the leaf by a silken thread. I also found rolled down leaf margins on some lime leaves but all, except one (which had a small amount of silk), looked old and empty and I was wondering about the possibility of Roeslerstamia erxlebella. I`ll have to find some larvae! A nearby wild service tree Sorbus torminalis (originally planted) had Phyllonorycter leucographella (silvery mine on upperside) but no Stigmella spp. I also found a grey dagger caterpillar on elm. 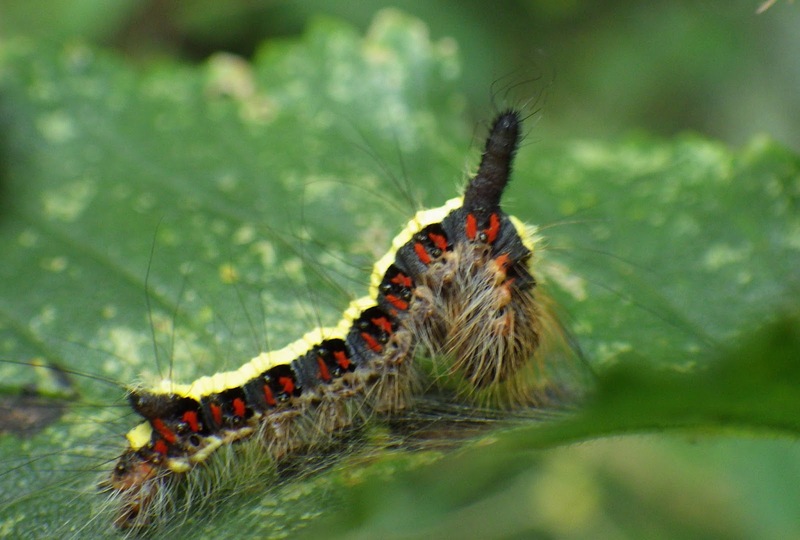 Dark and grey dagger moths cannot be reliably separated as adults unless genitalia dets are carried out, but their caterpillars can easily be i/d to species. Below is a rather blurry photo - apologies!